Our Local Employment Service helps people to find work which is appropriate and suitable. It is a free and confidential service. We support people who are looking for work with applying for jobs, getting training and writing their CV. In 2017, our service worked with 1,860 new clients. Of these, we helped 555 people to find work. We also supported 1,166 people into education and training courses last year. A key part of the Local Employment Service is the Jobs Club which helps people who are ready for work to improve their job seeking skills. The Local Employment Service also works closely with local employers to understand their needs, to help them avail of employment incentives and to place suitable candidates in their company. 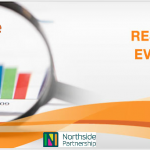 The Northside Partnership LES has carried the Q mark every year since 2006. 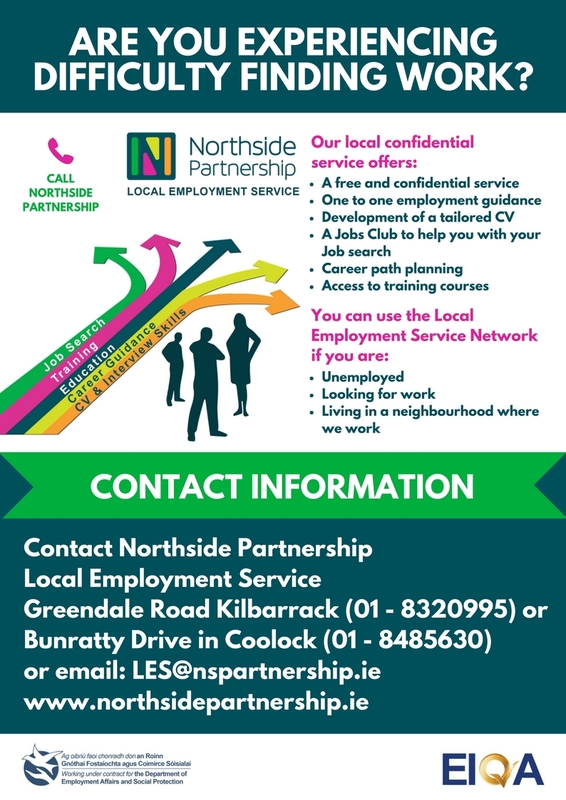 For more information on the Local Employment Service Network – you can also visit http://www.localemploymentservices.ie. I am looking for work – how can the LESN help me? We want to understand where you see yourself in the world of work and to help you to get there. Who can use the Local Employment Service Network? When you contact your local office we will give you an appointment to meet with a person called a Registrar. At this meeting we will help you to choose and make contact with services that will be most helpful to you in your search for work. When you choose Employment Guidance an appointment will be made for you to meet an Employment Guidance Officer. They will give you one to one support, help you to write your curriculum vitae (CV), plan your career path, access training and provide you with ongoing support. When you choose a Jobs Club you can get one to one or group support. The Jobs Club will help you with your motivation, CV preparation, interview techniques and communication skills. You will also be given access to resources to help with your job search including use of telephones, newspapers, computers and postage. If you choose to start your own business we can refer you to one of our Enterprise Officers. Or, if you choose to return to education we can refer you to our Education and Career Guidance Service.